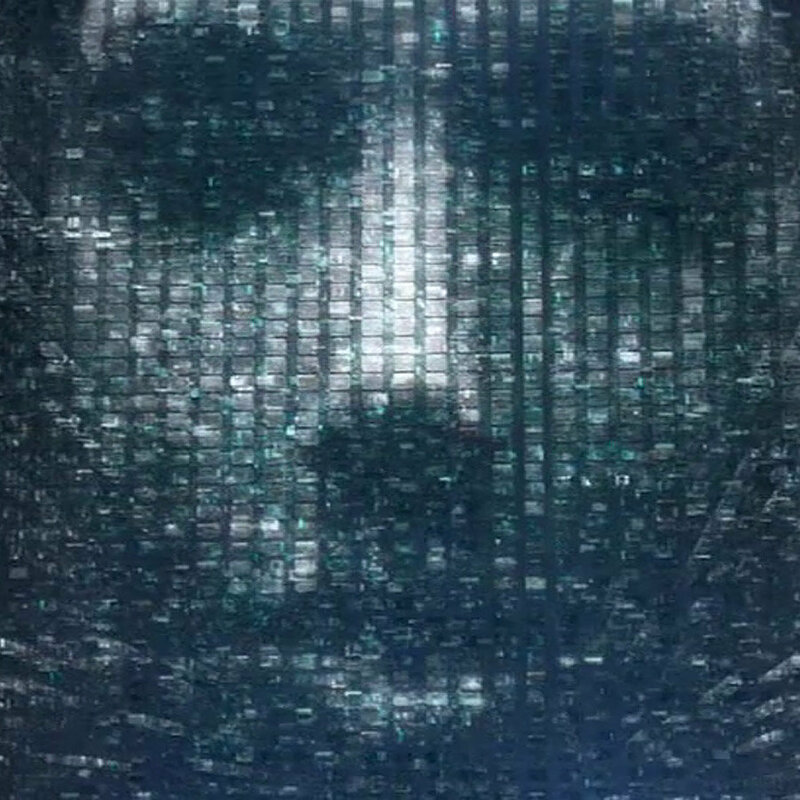 With the growing commercial use of AI, the platforms we use daily are becoming more and more customized. When a social media platform recommends the best content for you, it's distilling out things that you don't like — providing you with that infamous echo chamber effect. Of course, this isn't constrained solely to social networks. 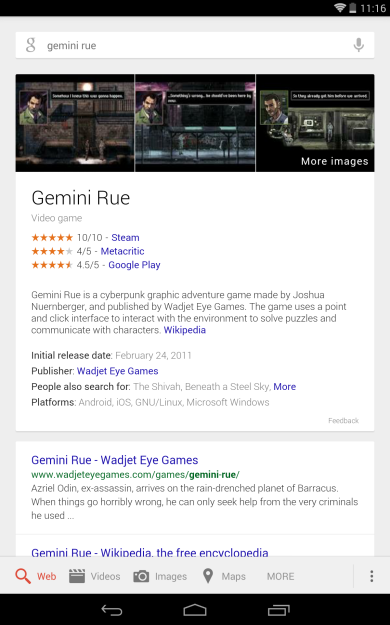 Google Search uses AI, as well. In fact, the tech giant has just announced that it's adding several "intelligent" recommendation features to its original product, with a focus on what it calls "longer [search] sessions," that span multiple days. 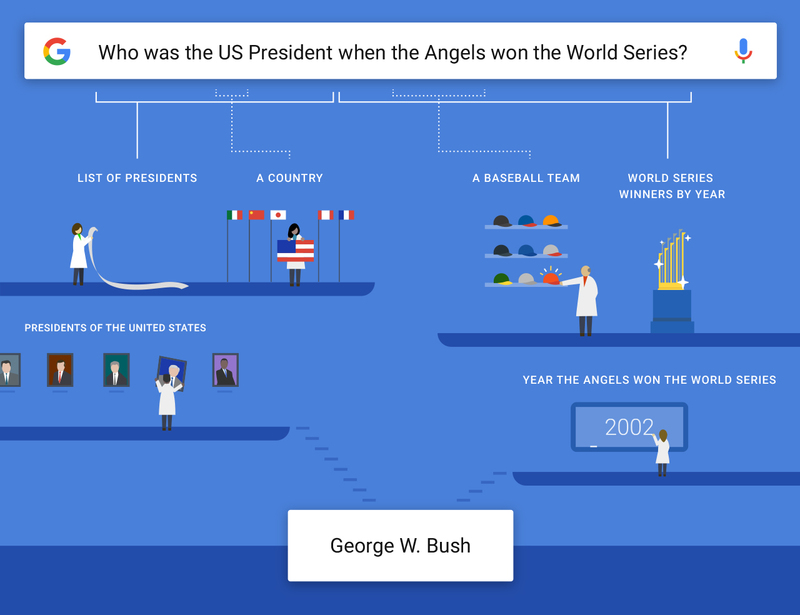 In the announcement blog post, Google calls this a "fundamental transformation" — but is it one that could harm the discovery of different sources and viewpoints? The movie-going public owes a great debt to Gene Siskel and Roger Ebert. The "thumbs up, thumbs down" system breaks down a complex opinion into a simple yes/no question, "did you like it or not?" Its effects can still be seen on Reddit and even in the comments section of this very article - now all we need is some digital implementation of The Wagging Finger of Shame. 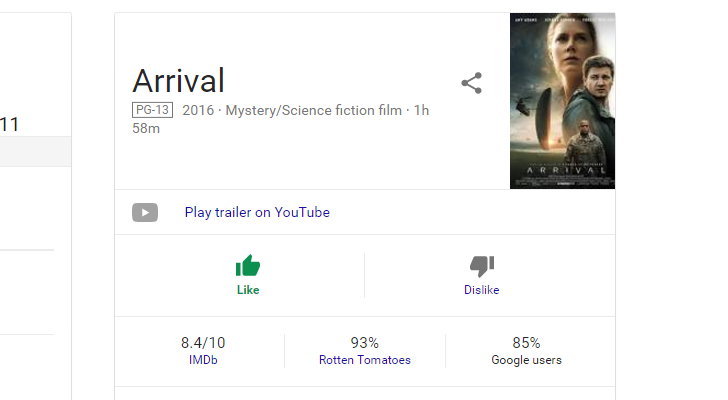 Google's on board with the thumb system of movie and TV reviews, and has lately implemented it on its search pages in the Knowledge Graph section. 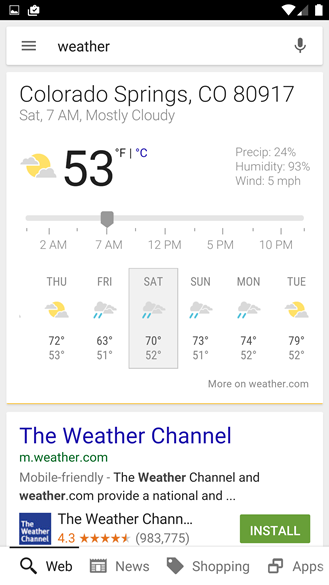 It's not a huge change, but it makes it easier to figure out the long-range forecast at a glance. The Search function even allows you to break down the day-by-day forecast by hour with a handy slider. 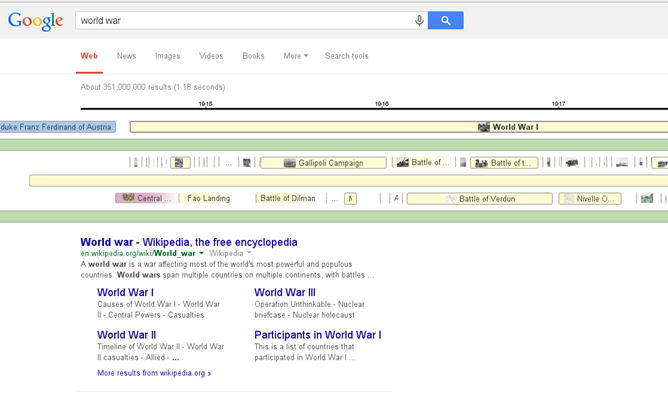 Performing a Google search for medical information is a crap shoot. It can lead you somewhere filled with quality content, or it can send you down a trail of wildly inaccurate speculation and conjecture (which isn't all that different from performing an Internet search for anything else, really). 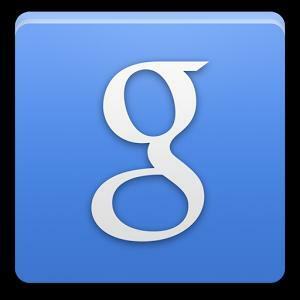 But now when you turn to Google for questions about certain health conditions, it will dish out relevant information at the top of the search straight from the Knowledge Graph. So when you perform a search for the likes of frostbite or the measles, Google will touch on information such as symptoms, treatments, whether something is contagious, and which age ranges are the most susceptible. 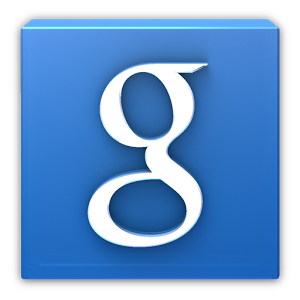 Google is continually tweaking its search engine to make getting information just that little bit easier. 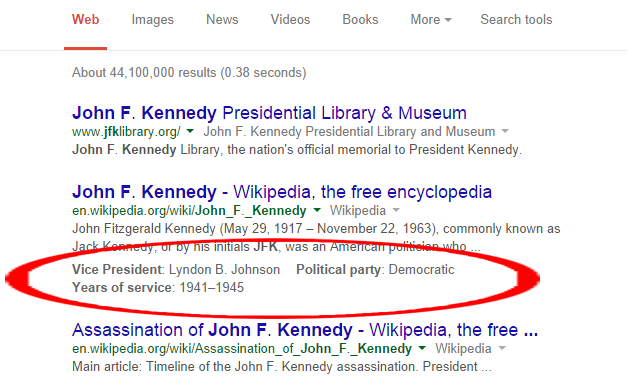 The latest addition to the far-reaching Knowledge Graph system appears to be additional inline information that will show up beneath some broad search results. 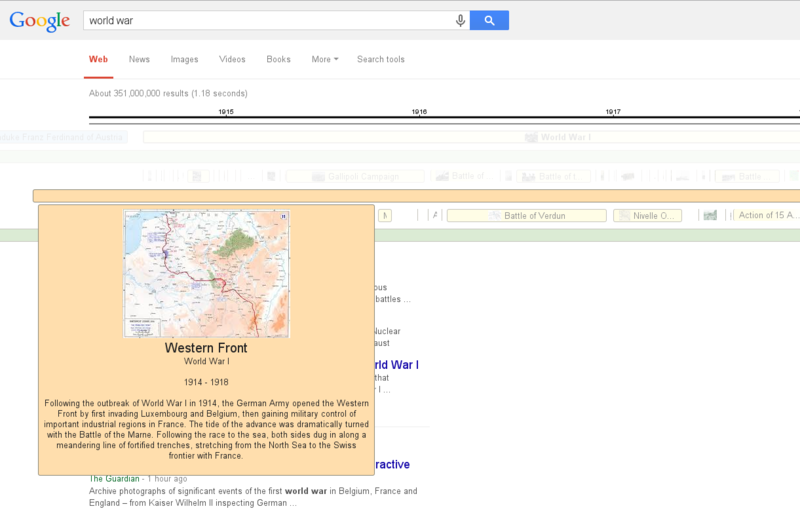 Search for a historical figure or something relating to geography, and you'll see basic facts beneath the entry. 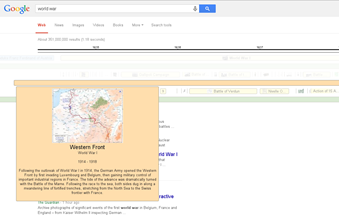 The new feature was spotted by the Google Operating System blog, and it appears to be limited to Wikipedia results for the time being. 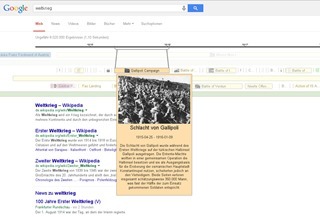 The additional snippets of information seem to be bite-sized versions of the full Knowledge Graph display, shown to users when the search engine isn't sure that they're looking for one particular thing. When you perform a Google search and an answer appears alongside the list of results, this tidbit of goodness comes thanks to the company's Knowledge Graph. 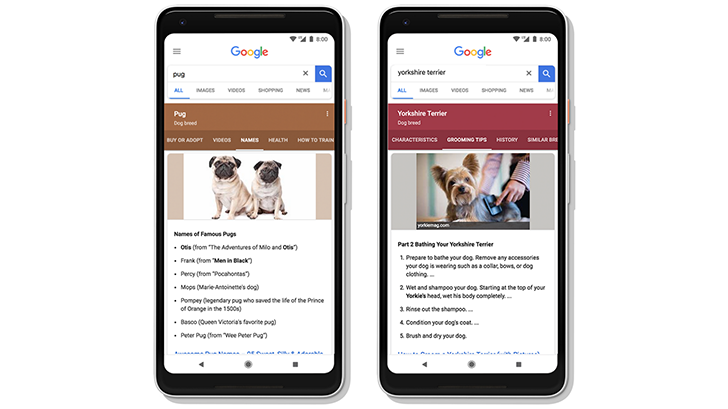 It provides much of the brainpower for Google Now, pulling down information from a variety of sources such as the CIA World Factbook and Wikipedia. 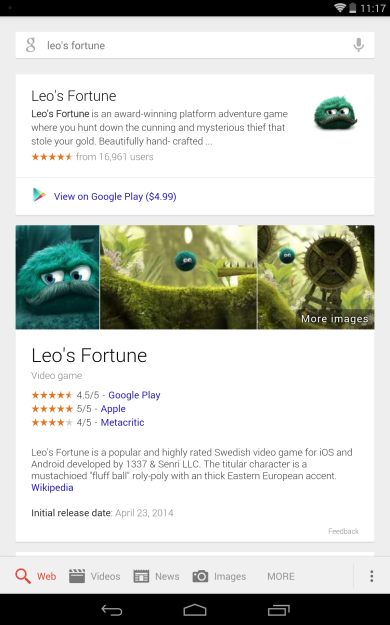 The thing is, Google thinks it's still too dumb, so the search giant has already started working on something better. Unlike its predecessor, "Knowledge Vault," as this newer project is called, doesn't rely on humans to explicitly teach it answers. It is smart enough to search them out and find them on its own. According to your grandmother, over 96% of kids these days don't know their history and will be doomed to repeat it. Also, no one learns cursive anymore. There's not a whole lot that Google can do about the latter, but with a new search tool, they may be working on the former. 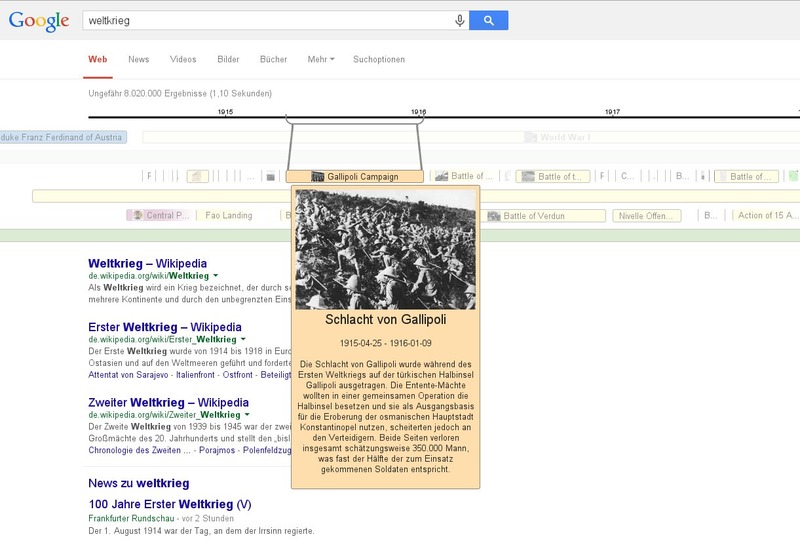 Chrome and Search enthusiast Florian Kiersch posted screenshots of a new Knowledge Graph tool that automatically generates timelines of broad historical topics based on content from Wikipedia. 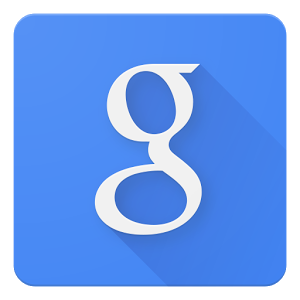 The tool appears to be in the early stages of testing, and isn't publicly available. Search for something like "World War I" and you'll be presented with a layered timeline above your main search results. There was a time not so long ago when entering keywords into a search engine and getting back a list of relevant URLs was convenient enough, but these days, long after the novelty of search engines has worn off, sifting through pages of blue and purple links can feel quite tedious. 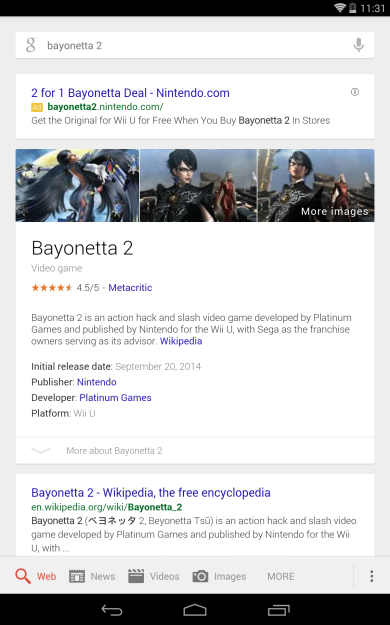 So Google is continuing to do more to make using its primary service easier. 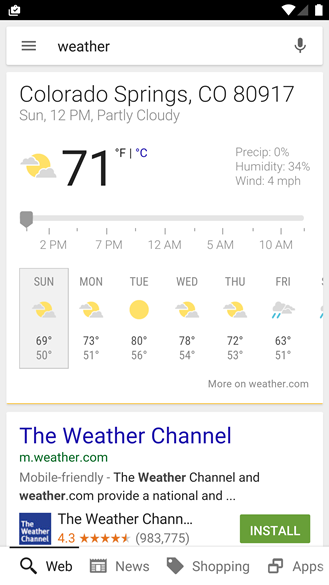 Starting today, when you click on the name next to a website's link in your search results, you will get served a small window providing a little bit more information than what's provided on the page.